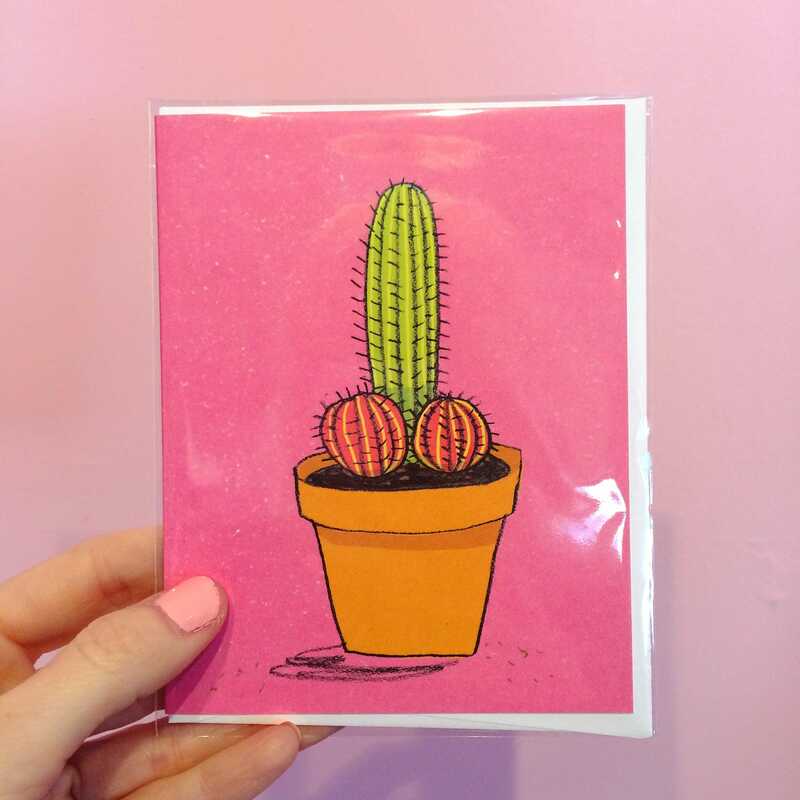 Do you like cactus and double entendres? Then this card is for you! Inside says: you make me think dirty things. Made by local Nashville illustrator Katie Turner. 4.5x6.